Such terrible news stories appear about animal cruelty. I am not a fan of sharing such nightmarish tales, as some of you may agree. I work with dogs but this does not mean I would like pictures of suffering delivered to my Facebook page from all over the world. However, we have to take responsibility for the actions of our community. Is there any change we can make right now, or is it a case of hoping these horrors never happen? The lovely gent who looks after and chivvies me to send in these columns, brought to my attention the recent discovery of the body of a dog that had been violently harmed, near Yaxley. It was a dreadfully sad story, and my heart goes out to the poor person that disovered it. Not to mention the poor animal itself. The question offered to me was, is there any other way we can trace the owners or person that did this? As you know, microchipping your dog is now compulsory (see last week’s column, and book your dog in NOW to avoid a fine). A microchip might tell us to whom the dog belongs, but often there is no more evidence. However, it is hard to own a dog and keep it a secret. We do not live in an isolated community where no one makes any contact. We need to go shopping, we need to leave our homes. We take our cars for fuel. More than ever before, we have social media. Twitter, Instagram, Facebook, Vine, and the latest Periscope… Even photos of everyone’s feet (no idea why), cars and dinner appear on these, so surely somewhere there is a picture of the dog-victim. Please don’t imagine that we should all turn into vigilantes. Instead, can we work as a community on keeping our families safe, including the dogs. There is a strong link between abuse to animals and abuse to people, particularly children. Let’s never turn a blind eye to harm; very different to getting involved or putting yourself at risk. You can report anonymously to the RSPCA and they will deal with it. Their resources are already over-stretched, so maybe we can do more ourselves to support and help people who are struggling with their pets. As I said to my colleague, we may not be able to find out who owns this dog, but we do know one thing. There is one person, at least one person, who knows exactly what happened. My Dog Barks … Help! Do you need help with your barking dog? If a dog barks excessively, it can become a major problem. Usually it isn’t a problem to the barking dog! It is a natural behaviour to them. To us humans, though, it isn’t necessarily something we want! In this week’s special podcast we talk about the issue of barking dogs using Jon’s own little barking Bassett Hound puppy as an example. Because dogs bark for many reasons, our little podcast case study shows you the essential knowledge you need, to identify all sorts of factors BEFORE you begin to put solutions in. 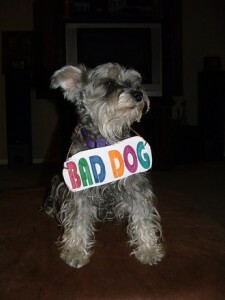 There is no ‘one-size-fits-all’ when it comes to a barking dog. On the podcast we discuss these questions in detail and how you might go about considering the cause, so you can identify a proper, and long-lasting solution. Listen in and enjoy! 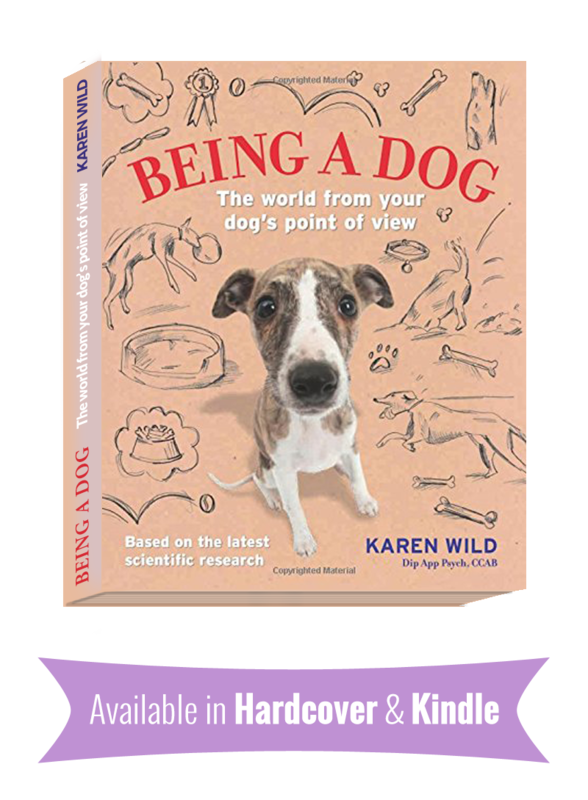 The free download as discussed on the podcast, is available free for a limited time ONLY – ‘Barking – Identifying the cause’. 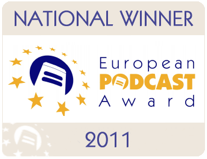 If for some reason you cannot access this download here, please email us on podcast@karenwild.co.uk and we will send you the link! Johnny Depp has had to be rescued from Angelina Jolie’s dog! The 47-year-old actor is not a fan of dogs but agreed to watch their Mastiff, Jacques, whilst the couple went out for the evening. Johnny and wife Vanessa are still friends with Brad and Angelina though! Our next podcast will be on dogs that BITE. You may have a dog that bites, or you may have been bitten by a dog yourself. Maybe you have a dog in your neighbourhood that has a bit of a reputation, or is it your dog that has the bad rap? 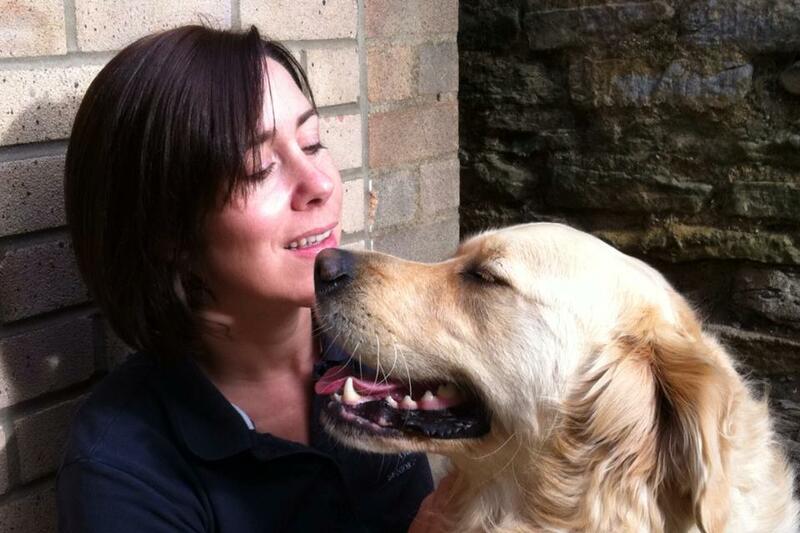 The law in England and Wales dog law a popular topic these days. It is also a great area of confusion for many. 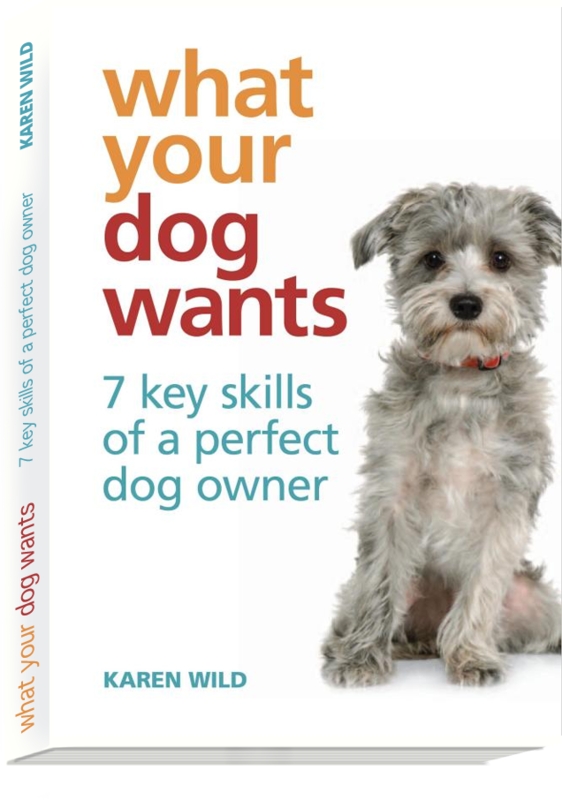 In the next few blogs and podcasts we will look at what you need to know, what might be useful to know, and most of all how to keep yourself, and your dog, out of trouble. In this blog, as well as the topical WildPaw podcast, we look at dog identity tags. What is the law? Why are people ignoring it? What might happen to you if you get it wrong? Thank you for all the lovely good wishes and hope you enjoyed the advent calendar, and are full of great New Year Resolutions for you and your dog. 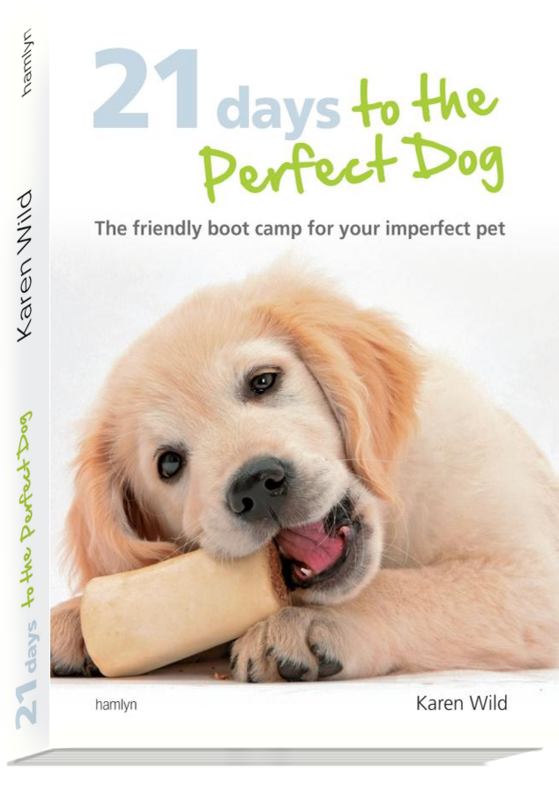 I have been contacted by a lot of people for training and help so it looks like people are getting ready to really give their dog some effort in 2011. Hopefully with the help of the podcast you will be able to do that too! Charlotte sent us a lovely email about her little Cocker Spaniel George. She also sent me a photo and he is absolutely gorgeous. Here he is ‘in action’ with one of his friends! The most well-known law over here is of course the Dangerous Dogs Act but I think it is very useful to know other laws that affect you as a dog owner. To be honest, by the time the day-long session was over I was beginning to think that owning dogs, especially larger dogs, can be a very risky business indeed! Now, I should point out that this is opinion and interpretation of the law, I am not in a position to dictate the law so you should always aim to act lawfully and investigate if you are not sure with proper legal advice. This blog does not pretend to offer legal advice. Always check your facts with a lawyer! This means a collar must be on your dog, and visible identification of the type described above must be on that collar. I did check for all you harness lovers (contact Trevor Cooper) and the opinion is that a harness is acceptable in place of a collar, again as long as it has an id tag on it. The ID tag itself. Now this is where we really run into problems. The tag has to have YOUR NAME, YOUR FULL ADDRESS. No mention of telephone number, but of course that is the first thing most people would put on, along with mobile number these days. Imagine the size of the gong on a small dog! You can of course have two tags. Nevertheless I do know an awful lot of objections to this, some of which were raised on twitter yesterday. – Oldies Club said we would be amazed how many people do not know or do not follow this rule. – Another listener has commented that their house number and postcode is on the tag, and does this constitute an address? The answer would be, no. The law is intended to reunite the dog with its owner and opinion is, there is opinion that a postcode is not going to support this. – Microchipping alone is not enough because your average neighbour doesn’t have a microchip reader…! – The paper roll inside metal cylinder is not considered to be within the law (opinion again!) because the law specifically states ‘inscribed’ – again, open to interpretation perhaps? What do you think? Have you got a tag that supports all this info and is still really lightweight? Ideas? We want to hear from you! More dog law next week. An Australian man has surprised friends by getting married — to his pet dog of five years, a golden labrador called Honey. Twenty-year-old Joe Guiso said the “marriage” ceremony performed by a friend in the Queensland town of Toowoomba was simply a creative and light-hearted way of bringing together family and friends. And on that note, I will see you next week, same time, same place! P.S. 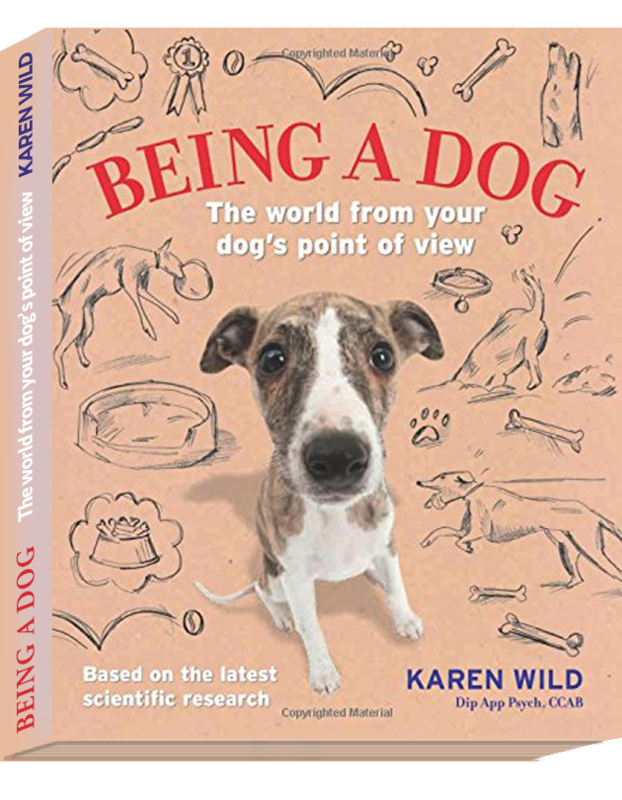 If you have any questions you would like answered about your dog, or comments on the podcast, please leave your remarks below or contact us on podcast@karenwild.co.uk Your feedback is very important to us, we enjoy making these podcasts and love to hear your views.